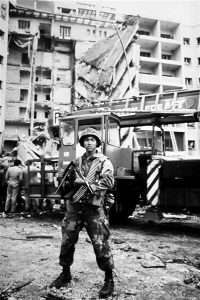 The suicide bombing of the U.S. embassy in Beirut, Lebanon on April 18, 1983 was the deadliest attack on a U.S. diplomatic mission up to that point. The blast killed 63 people, 17 of whom were Americans. The attack is thought of as the beginning of anti-U.S. attacks from Islamist groups. Along with the Marine Corps barracks bombing that same year, the terrorist attack prompted a review of security measures at the Department of State and led to the creation of the Bureau of Diplomatic Security (DS) and the Diplomatic Security Service. Ambassador to Lebanon Robert S. Dillon recounts the explosion, the Hezbollah terrorists, the issues with embassy security, and how the attack changed his life. You can read Diane Dillard‘s account as a consular officer and Anne Dammarell’s thesis on the effects the bombing had on survivors. Go here to read about other Foreign Service officers who died in the line of duty and how the U.S. almost captured the Hezbollah mastermind. Read also about the rise of Hezbollah and the hijacking of TWA flight 847, where terrorists demanded the release of those involved in the embassy bombing. This is Ambassador Dillon’s account of the Sabra and Shatila massacre. DILLON: I was in my office on the eighth floor. It was the middle of the day on April, 18, 1983. It had been a little quieter than it had been. I had resumed my jogging. I was getting ready to go to AUB [American University- Beirut] with my security escorts, which numbered about ten by this time. They would take over the field and keep everybody at a distance while the American ambassador would jog about three miles around the track. So I was ready to go. I had just had a phone call from a German banker who worked for El Mashtek Bank, half of which was owned by Morgan Guaranty. I knew what the call was about because I had talked to a friend of mine, Rod Wagner, who was a senior officer at Morgan. The issue was more a Jordanian problem than a Lebanese one. I didn’t return the call because I didn’t feel like discussing the matter just at that time. So I finished what I was doing. My Lebanese social secretary had just been to see me. It was the last time I ever saw her. On the day before, we had held a marathon in Beirut and held a party afterwards. One of my bodyguards had a little too much to drink at that party and was hung over the next morning. He stayed with me while the other security forces went downstairs to wait for me. I started to undress and then I felt guilty about not having taken the call from the German banker. So I called him back and while talking to him, I stood in front of a window as I struggled to put on a heavy Marine T-shirt. All of a sudden, the window blew in. I was very lucky, because I had my arm and the T-shirt in front of my face, which protected me from the flying glass. I ended up flat on my back. I never heard the explosion. Others said that it was the loudest explosion they ever heard. It was heard from a long distance away. As I lay on the floor on my back, the brick wall behind my desk blew out. Everything seemed to happen in slow motion. The wall fell on my legs; I could not feel them. I thought they were gone. The office filled with smoke, dust, and tear gas. What happened was that the blast first blew in the window and then traveled up an air shaft from the first floor to behind my desk. We had had tear gas canisters on the first floor. The blast set them off so that the air rush that came up through the shaft brought the tear gas with it and also collapsed the wall. I was on the floor cursing away, believing that the Embassy had been hit by a rocket. We had been hit by a rocket a week earlier, and I thought we had a repeat performance. I was angry as someone gets when you are attacked and you want to lash back even though you are flat on your back and helpless. I couldn’t move. In a few minutes Bob Pugh, my secretary, and Tom Barron, our administrative officer, came in. They were all covered with dust because the walls of their offices had also collapsed, but fortunately they were able to get out quickly because they had not been pinned down. They grabbed the flag staff and pried up the wall a little so I could wriggle out. I looked at my legs and to my immense pleasure found out that they were still there and functioning. I was cut by the glass everywhere, except in the face because, as I said, my face had been protected. I had cuts and bruises and small pieces of glass in me, particularly in my arms. They itched terribly. It wasn’t so much pain as itching. So I was in pretty good shape. The others were in good shape. We all started to cough and to wretch from the tear gas. Someone vomited, as I recall. We got out through a window and stood on a little ledge outside. A gust of wind came along and cleared the air. That made us feel much better. We didn’t know what had happened. The central stairway was gone, but the building had another stairway, which we used to make our way down, picking our way through the rubble. We were astounded to see the damage below us. I didn’t realize that the entire bay of the building below my office had been destroyed. I hadn’t grasped that yet. I remember speculating that some people had undoubtedly been hurt. As we descended, we saw people hurt. Everybody had this funny white look because they were all covered with dust. They were staggering around. We got to the second floor, still not fully cognizant of how bad it was, although I recognized that major damage had been done. With each second, the magnitude of the explosion became clearer. I saw Marylee MacIntyre standing; she couldn’t see because her face had been cut and her eyes were full of blood. I picked her up and took her over to a window and gave her to someone. A minute later, someone came up to me and said that Bill MacIntyre was dead; he had just seen the body. That was the first time I realized that people had been killed. I didn’t know how many, but I began to understand how bad the blast had been. Bill had been the chief of the AID [Agency for International Development] section. I felt sick. We staggered to a window where someone had put up a ladder and we climbed down on that. Next to our building was a large apartment house where the DCM [Deputy Chief of Mission] lived and which held some temporary offices. We went there and immediately called Washington and reported what had happened. By this time, rescue workers, police, and American reporters had arrived. We found our personnel officer and put together a roster of all the people we thought would have been in the building. We then checked off those that we knew were still alive. We understood that it would be some time before the rubble could be fully searched for bodies. We wanted to report the names of survivors as quickly as possible. Pugh and the security guys were back at the Embassy, supervising the rescue operations. I was on the phone to Washington. We went over our roster trying to give Washington all the information we had on our personnel. After a while, we ran out of information; we looked at the roster and there were many, many people on whom we had no information. That really shook us. Then I went back to the embassy, joining the mass confusion. I remember two things. One was John Reid, the PAO [Public Affairs Officer], who asked me to come to talk to the newsmen who had assembled. I didn’t know what to tell them. Reid was a great man; he stuck a piece of paper in my hands and said: “Here’s what you say!” That is what you need in these cases. So I walked out in front of the TV cameras, still wearing my T-shirt, dust in my hair, looking beaten up, and stood up in front of the cameras and acted as if I had done this every day of my life. I made my statement and took a few questions. Reid tugged my elbow and pulled me away. I tell this story first to give a plug to John Reid and second to illustrate why you need staff, why you need professionals like John Reid. My concern was what happened to the embassy and the finding of the survivors, but from the point of view of the United States it was important that the media be addressed with dignity and a display of courage, even if a little false. We had to give the impression that terrorism would not change our policy course. That is what I intended to convey, and people later kindly said that that was what I did. Then I returned to the building. We were digging out. The last live person was brought out five hours after the explosion. The last one was a Mr. Kopty, who was one of our Lebanese employees. He looked like a piece of hamburger; I did not recognize him. Someone had to tell me who he was; I never thought he would live. Anne Dammarel, one of the AID employees, came out and I thought she would not live. After about five hours, we didn’t find any more people alive. In the end there were 62 or 63 dead. We continued digging for five days, searching through the wreckage, bringing out bodies, sometimes pieces of bodies, identifying people. It was very sad. There were families of the missing Lebanese employees standing around and waiting. There were families of people who had been in the Embassy on business. There were families of people who had simply disappeared. We found bodies of people who had been blown into the sea while walking past the embassy. Finally, after five days, we quit. By that time, all we were finding were scraps of people. It was very difficult to talk to the families, particularly when we couldn’t find the missing member. The families were stunned. They were very quiet. There was no shrieking as you sometimes get. These families were stunned and exhausted and weeping but on the whole surprisingly quiet. It was terrible. We acted surprisingly normal, although we were really not. A psychiatrist was sent out from the Department of State. I think it was the same doctor I saw after the terrorist attack in Kuala Lumpur. He talked to us. I remember saying to him: “I am surprised how normal I feel”. He told me that was a normal and typical reaction. The defense mechanism that we all have inside had come to the fore. If we didn’t have that mechanism, we could not have functioned. That made me feel better, because I was concerned about my reaction. I didn’t break down until about ten days later. I went to the AUB chapel to talk to the families of those who had died. It was a memorial service and they were all there. John Reid had helped me to write out a brief talk. I stood there, looking at these very sad and unhappy faces and they in turn were looking at the American Ambassador as if he would be able to say something that would make everything well. So there I was looking at all these people, whose family members had been blown to pieces. I got most of the way though the speech. When I got to the last sentence, a sob welled up and I stopped. I couldn’t say anything more. I was in tears. I felt so inadequate and sad looking at all those people. People would have liked to hear that their relatives died for some noble cause. They didn’t. Within a few minutes, I recovered, but it was one of the saddest moments in my life in that chapel. I wished I could have done something for those people. To my surprise, years later the son of a man who had been killed told me how much my words had meant to him and to his mother. It turns out that the embassy was hit essentially by Hezbollah, even though that was not clear at the time. 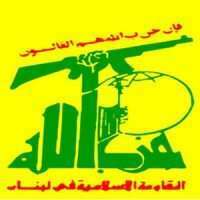 Hezbollah had Iranian support. It was simply a blow at the most visible symbol of American presence. It was during the time when the car bomb had become very common; it was not, however, the suicide car bomb, but just cars that were loaded with explosives and left in the streets. A deserted car became an object of great suspicion. We had cleared the area around the embassy; cars were not allowed to park around the embassy, because of the possibility of a car bomb. The suicide car bomber was something new. The Iraqi embassy had been destroyed a year earlier in a gigantic blast, but we never found out what had happened. There was suspicion that that had been a suicide bomber, who had driven a car bomb (a white Mercedes) underneath the embassy. The suspicion was that the driver had stayed in the car and had killed himself. The Iraqis and the Iranians were of course enemies. They were at war. There was the traditional Sunni-Shiite split. There were other issues involved. We did not learn a lesson from that, particularly that we would be a target for a suicide attack. We had discussed the possibility, but when you try to make a decision about security arrangements, you stress the more likely events, which we thought would be episodes that gave the bombers a chance to get away before the blast, as might be in the American tradition. Americans sometimes engage in suicidal attacks, but not in suicide attacks. A suicidal attack is one which is understood that chances of survival are not very good. The suicide attack on the other hand is one in which one’s willingness to die is the attack itself. That is an important distinction. We kept improving the embassy’s defenses but were devoting more attention to the suicidal attacks than the suicide. No cars were permitted to be parked around the embassy. The building itself stood in a very busy part of town. The traffic, as long as it kept moving, was allowed on the main street. We were constantly under small rocket attack; it was so common that we didn’t think much about it, even though the small rockets–RPG’s [rocket-propelled grenades]–could be very destructive. They were much more destructive than the old bazookas. Our strategy was to keep them at a distance. We had ordered some barriers to be set up so that the embassy could not be rammed. Ironically, when the embassy was blown up, the barriers had arrived but had not yet been put in place. We had not yet seen the suicide bomber as a principal weapon. We had seen it as a possibility. It was used against us very effectively. The only way we could have prevented it–as we did when we moved into the British embassy–was to put barriers at a distance and prevent any vehicle from approaching the building…. My outrage over Lebanon has shaped my career. After that I wanted to do things that were vaguely humanitarian or educational. I guess that is what I am doing now. Eventually, I wanted to come home, because although Vienna is a nice place, it is Austria and not the United States. By the time I left Austria, I had spent more than 26 years overseas, going back to the China coast days.